GRP stands for Glass Reinforced Plastic, also known as Fibreglass– an extremely tough and long-lasting material used in many sectors including roofing. GRP is extremely durable and watertight and does not corrode in water. Our roofs come with a 25-year guarantee, but the roof itself will last much longer than that. once the roof is finished it creates a fully sealed surface with no seams, joins, or weak points for water to penetrate. GRP roofs are environmentally friendly and don’t require heat to install. If your roof gets foot fall (like most balconies or some garage roofs), we can add a non-slip texture with no impact on durability or overall strength. 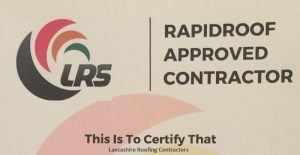 We have over 35 years’ experience installing fibre glass flat roofs and our excellent reputation stands alone, please read through our reviews should you require any proof that we really will leave you with a premium quality durable roof that will enhance your property for many many years to come. As long as the original job was carried out properly on suitable decking with properly installed trims and flashing, your GRP roofing system will be an extremely low maintenance product. In the unlikely event that you need a repair done on an existing GRP flat roof – our experienced workmen can lay an extra layer of GRP on top as long as the roof is still structurally sound. Fibreglass roofs are unaffected by strong sunlight, although fading can occur over time. This will only affect the visual quality of the roof, nothing internally. If your roof has faded, any loss of colour can be resolved by applying another layer of top coat to restore your GRP roof to its original splendour. If you have any questions, please feel free to call us and we will come and inspect the condition of your roof and advise you on the best course of action. 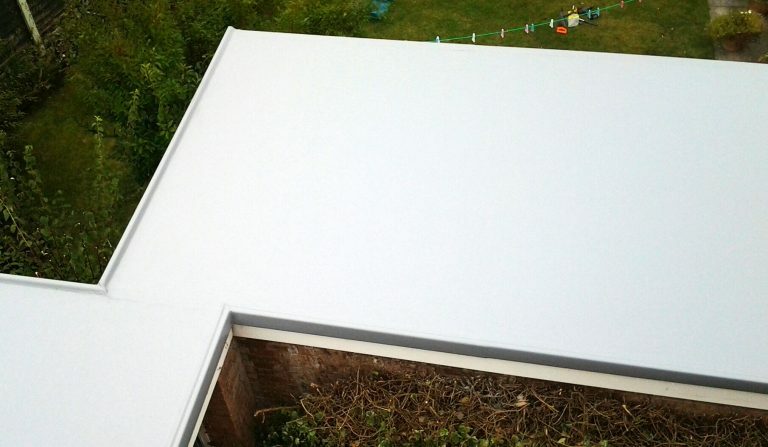 Is GRP Fibreglass Flat Roof Suitable for your property? A GRP roof is suitable for any flat roof area on any property, it can also be installed on pitched or curved/domed surfaces, balconies/terraces etc. Our expert workmen can install a new flat roof to your dormer, bay, garage, extension or commercial unit roof. We will survey your property measure and install a GRP fibre glass flat roof to a set budget within the time boundaries agreed. Safer Installations: GRP Roofing requires no complicated machinery and does not require heat equipment resulting in safer installations. Durability and Strength: We offer a 25-year guarantee which is also backed up by the manufacturers guarantee. Waterproof: Seam free resistant to weathering 100% impermeable finish with a waterproof topcoat.